Ride-hailing service Lyft has hired an executive to lead its expansion into healthcare. Megan Callahan will join the company as vice president of healthcare, Lyft announced. Callahan, who served most recently as chief strategy officer at Change Healthcare, will lead the strategic direction and growth of Lyft’s healthcare business. Lyft currently partners with nine health systems and offers healthcare rides in all 50 states and the District of Columbia. Despite federal rules requiring plans to keep up-to-date directories, consumers may lack access to clear information about which health plans have ‘narrow networks’ of providers or which hospitals and doctors are in or out of an insurer’s network. “It was my biggest expense and killing me,” said Catanuchi, 58, of Mullica Hill, N.J.
A “navigator” who helps people find coverage through the Affordable Care Act found a solution. But it required Catanuchi, who works part time cleaning offices, to switch to a less comprehensive plan, change doctors, drive farther to her appointments and pay $110 a visit out-of-pocket — or about three times what she was paying for her follow-up cancer care. Catanuchi’s switch to a more affordable but restrictive plan reflects a broad trend in insurance plan design over the past few years. The cheaper plans offer far narrower networks of doctors and hospitals and less coverage of out-of-network care. But many consumers are overwhelmed or unaware of the trade-offs they entail, insurance commissioners and policy experts say. With enrollment for ACA health plans beginning Nov. 1, they worry that consumers too often lack access to clear information about which health plans have “narrow networks” of medical providers or which hospitals and doctors are in or out of an insurer’s network, despite federal rules requiring plans to keep up-to-date directories. These more restrictive plans expose people to larger out-of-pocket costs, less access to out-of-network specialists and hospitals, and “surprise” medical bills from unforeseen out-of-network care. For example, in California, HMO and EPO enrollment through Covered California, the state’s exchange, grew from 46 percent in 2016 to 70 percent in 2018, officials there said. Over the same period, PPO enrollment declined from 54 percent to 30 percent. In contrast, PPOs have long been and remain the dominant type of health plan offered by employers nationwide. Forty-nine percent of the 152 million people and their dependents who were covered through work in 2018 were enrolled in a PPO-type plan. Only 16 percent were in HMOs, according to the Kaiser Family Foundation’s annual survey of employment-based health insurance. Polsky is completing an analysis of 2018 plans and expects the percent of narrow network plans to remain “relatively constant” for this year and into 2019. Ginsburg also notes that there’s no evidence to date that the quality of care is any less in narrow versus broader networks, or that people are being denied access to needed care. “People have voted with their feet, moving to more affordable choices like HMOs but they won’t tolerate draconian restrictions,” Kreidler said. The state is stepping in, too. In December 2017, Kreidler fined one insurer — Coordinated Care — $1.5 million for failing to maintain an adequate network of doctors. The state suspended $1 million of the fine if the insurer had no further violations. In March 2018, the plan was docked another $100,000 for similar gaps, especially a paucity of specialists in immunology, dermatology and rheumatology. The $900,000 in potential fines continues to hang over the company’s head. “We think and hope insurers are gradually building more stable networks of providers,” said Altman. The California Health Care Foundation recently published the latest edition in its wide-ranging Almanac series, California Emergency Departments: Use Grows as Coverage Expands. This timely publication is loaded with data that paint a detailed picture of broad trends in hospital emergency department (ED) care across the state. Recently, I talked about the Almanac’s findings with Kristof Stremikis, who directs CHCF’s Market Analysis and Insight team. Senior program officer Robbin Gaines produced the report as part of the team’s mission to promote greater transparency and accountability in California’s health care system. Q: California’s 334 hospital emergency departments provide a vital service to every part of the state. How are they faring? A: The biggest takeaway from our Almanac is that California EDs are serving significantly more patients than they were just 10 years ago. When we control for population growth, the rate of ED use has grown 33% over the last decade, from 280 to 371 visits per 1,000 residents per year. 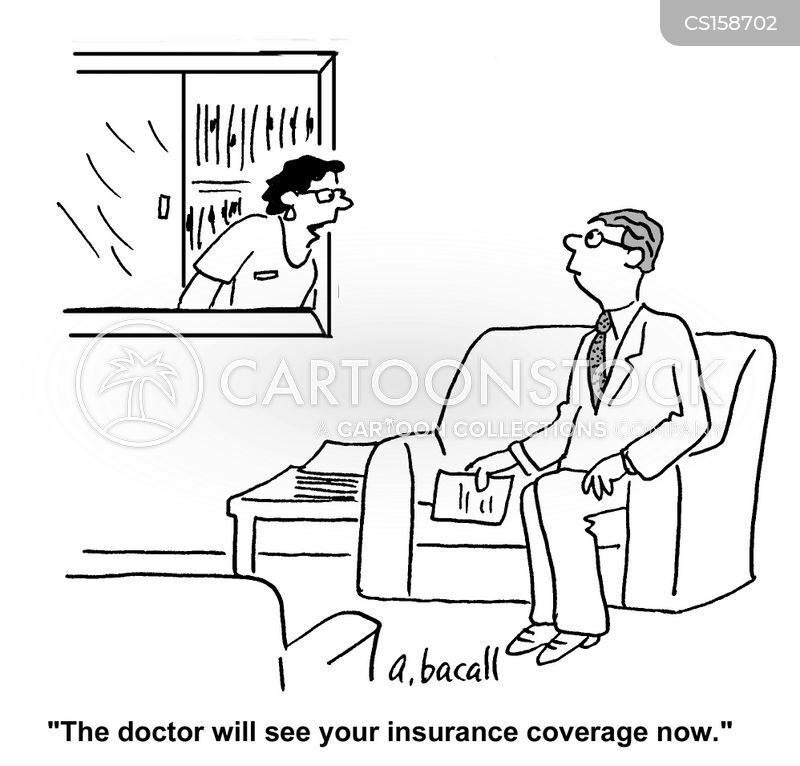 Visits are up regardless of the type of insurance a patient has. Now, there’s a lot to unpack and understand about these figures, but when we think about the future, it’s important to realize that we are likely to continue to see increased demand for emergency services as the population ages. From a policy standpoint, we need to double down on efforts to ensure patients have access to the care they need in the most appropriate setting, be that an emergency department or somewhere else. Q: What’s behind the increase in emergency department visits? A: We don’t exactly know why more people are showing up in California emergency departments, but we do know ED use has been on the rise for at least 30 years. Across the nation, emergency departments have long been a major source of care across all categories of patients. We also know that regardless of source of coverage, California’s public and private payers are covering more visits per enrollee than they were a decade ago. Sometimes ED use cannot be avoided. A few data points in our most recent Almanac suggest that a significant proportion of the rise in ED visits is due to clinically necessary visits. When we look at the acuity of ED visits, moderate and severe symptoms — including life-threatening ones — constituted all of the increase over the past decade. The number of visits with low or minor acuity fell. That is a big deal. This happened as the number of Californians with Medicare and Medi-Cal increased substantially during this period, and these programs cover a lot of older and sicker Californians who are more likely to need emergency care. We also know that some of this rise is attributable to visits that could have been avoided. Precisely identifying what portion of visits are avoidable is difficult, and we do not include an estimate in our Almanac. But we know they are there — public and private payers in California have been working hard for years to identify and prevent unnecessary ED use. Q: How big a problem are avoidable visits? And why would someone go to the ED if they don’t need to? A: Available research does not point to a precise percentage of ED visits that could be avoided. The most conservative definition classifies as avoidable things like visits for low-acuity mental health and dental issues. Using that methodology, perhaps 3% of ED visits in California did not need to happen. But other estimates are much higher, sometimes exceeding 70% in the commercial market. What is clearer are the reasons why patients go to the ED over other options. Some people can’t take off work when doctors’ offices are normally open. Others have limited or negative perceptions of alternatives. Researchers have found that there is also an increasing number of patients who are referred to the ED by their physician. Q: The number of ED departments has stayed flat during this period of growth. 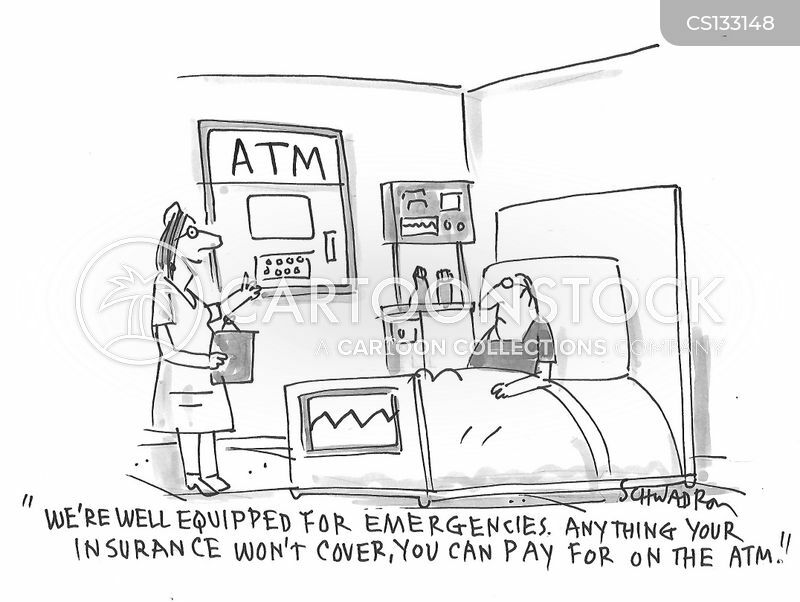 How are hospitals handling the additional visits? A: The number of dedicated ED spaces for individual patients, or “treatment stations,” has increased almost 30% over the last decade. In 2016, the average treatment station handled 1,846 patients, or approximately five visits per day, up from 1,656 patient visits in 2006. Despite a 44% increase in total ED visits between 2006 and 2016, the number of visits by patients who left without being seen fell by almost 15%. That is remarkable. Q: The data show a lot of regional variation in ED use. Are some regions or health plans better than others at addressing ED challenges? A: ED use does vary widely, from a low of 311 visits per 1,000 residents in Orange County to a high of 516 in the Northern and Sierra region. Patient characteristics (such as age, race, and income), lack of alternatives, and physician referral patterns may all play a role in the relatively high rates of ED use in certain parts of the state. Among the promising strategies that can be deployed regionally are increasing access to primary care services in rural areas through telehealth, providing outreach and case management to frequent users, and addressing the needs of patients with behavioral health and substance use disorders. Q: The Almanac shows an increase in the percentage of ED visits that are for Medi-Cal beneficiaries, due in large part to the expansion of eligibility for the program. What else would explain why the percentage from Medi-Cal went up? A: Medi-Cal paid for a larger proportion of California’s ED visits in 2016 than in 2006 because it now covers many more Californians. When we control for the number of beneficiaries covered by various programs, a Medi-Cal member is less likely to end up in an emergency room than someone covered by Medicare, though more likely than someone with private insurance. Regardless of insurance type, the number of visits per enrollee is increasing. When we look at the acuity of ED visits, moderate and severe symptoms — including life-threatening ones — constituted all of the increase over the past decade. The number of visits with low or minor acuity fell. That is a big deal. Q: Critics of the Affordable Care Act (ACA) cite increasing ED visits, especially from people in the expansion population, as evidence that the law isn’t working in California. Is that a fair criticism? A: Both critics and proponents of the ACA probably agree that the law is complicated — and complicated reforms need to be carefully unpacked and evaluated over long periods of time. One of the law’s major goals was to expand access to insurance coverage, and on this measure the law has made tremendous progress. As of 2016, only 7% of California residents lacked health insurance. Expanding Medi-Cal was the cornerstone of that success. The relationship between ED use and health insurance coverage is complex, with studies showing both increases and decreases in use when people gain or lose coverage. What is much more clear is that the ACA did not create the problem of ED use — though it has led to decreases in bad debt and charity care reported by our state’s hospitals. What is needed now is further research into just how many of our state’s ED visits are avoidable and how to scale the best approaches to reducing avoidable ED use throughout California’s market. Q: What’s being done to address avoidable ED use at a local level? A: On the public side, the ongoing Whole Person Care pilot program in Medi-Cal is one example of where innovation is taking place on this issue — 17 of the 25 counties participating in the program have made it an explicit goal to reduce avoidable ED use. Just last week, 17 health systems, including several in California, announced a major initiative to reduce avoidable ED use among Medicaid beneficiaries. This is likely to include some combination of enhanced access to primary care, behavioral health care, and social services. On the private side, the issue of avoidable ED use has attracted the attention of California payers like Anthem, Blue Shield, and Kaiser Permanente for several years. These groups have also worked to increase access to primary care using medical homes that offer after-hours and weekend care. Another approach involves targeting those patients who are frequent ED users. In California, one recent study suggested frequent users were less than 10% of the population but accounted for nearly one-third of the visits. Intensive case management, health coaching, and community support for high users are all promising interventions. Finally, specific case management programs for substance use disorder and mental health problems are being considered. Q: A report like this Almanac is obviously limited by the data that is currently available. What additional data points would you like to have for future issues? A: I think the most important metric to focus on is potentially avoidable use of the emergency departments rather than the overall number of visits. While the California data we report here certainly do capture the universe that includes avoidable use, it does not allow us to parse out the differences among the subsets. It is always helpful to have additional research to help identify this type of visit, the reasons why a patient decided to go to the ED, and the strategies that would be most effective at helping patients get their care in more appropriate settings.